Tradition holds that Blessed Mary alone remained steadfast in faith, even in the midst of her grief, on the Saturday of our Savior’s rest in the tomb. She knew, by her perfect faith, that Jesus would indeed rise from the dead on the third day – perhaps this is why she did not go with the other women to the tomb on Easter Sunday morning, she knew that she must not seek the living among the dead. How is it that Mary knew that Jesus would rise from the dead? What event, if any, can be singled out as the moment when she first began to understand that her beloved Son would die and rise again? Many years earlier, when Jesus was only twelve, he began to instruct his Mother in the paschal mystery. The Gospel of St. John, which many of the great Catholic Scholars hold to be the last book of the Bible to be written, is unique among the books of Scripture as being that which is most enlightened and enlightening to all men. There are many details and events from our Savior’s life which we know only from St. John. And, yet we may be surprised to notice one very significant point concerning which he have no word at all from the Beloved. 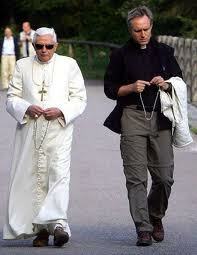 “John has a style peculiar to himself, entirely different from that of the other Evangelists and sacred writers. For, as an eagle, at one time he raises himself above all, at another time he stoops down to the earth, as it were for his pray, that with the rusticity of his style he may capture the simple. At one time he is as wise as the cherubim, at another time he burns as do the seraphim. Men are not able to chose the time and place of their birth, just as no man may choose his mother or father. 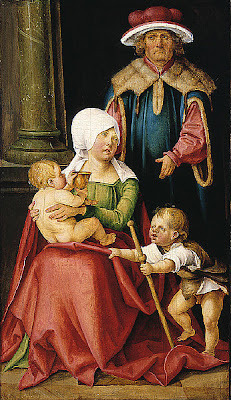 However, the case of the Christ Child is diverse – for he did indeed choose his holy Mother, having consecrated her from the first moment of her conception; and he chose St. Joseph as his guardian. In his divinity, through his all-encompassing providence, Jesus willed not only to be born of Mary and to be under the protection of Joseph, but he further willed to be born in the city of David called Bethlehem. Our Savior was born in Bethlehem because St. Joseph had taken his wife the Blessed Mary to the city of David to be enrolled for the census. However, this was no mere coincidence or accident, rather the Son of God had willed and provided for this circumstance to accompany his holy birth. 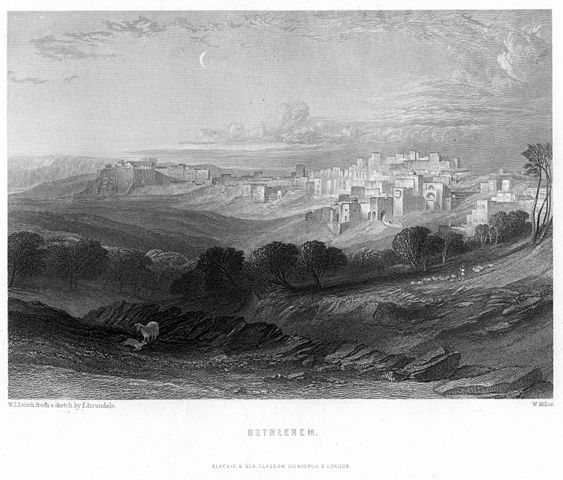 The Lord could have chosen any city: Nazareth, Jerusalem, Rome, or any other. But, passing by all these, he willed to come forth from the virginal and fruitful womb of Mary into the world in the city of Bethlehem. What merited the choice of this small town over any of the great cities? Most Catholics are well aware of the traditional practice of novena prayers – nine days of prayer offered either to God or to a particular saint in petition for some special grace. The most popular novena is surely that to the Holy Spirit which is accomplished from the Ascension to Pentecost. However, many may be surprised to realize that the first novena was not nine days, but nine months long! 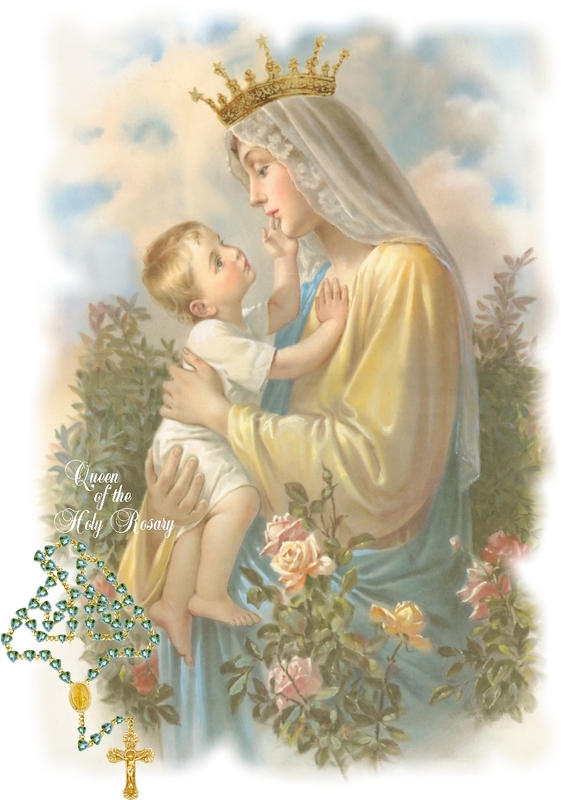 Indeed, this novena was accomplished by Christ himself in the womb of Mary his Mother. Historically, it is in veneration of the pregnancy of the Mother of God that the novena practice developed in the devotional life of the Church. Midway through the penitential season of Advent, the Church bids us to set aside for a moment our austerities and rejoice in Christ’s coming which is soon to be accomplished. This Sunday is marked with a spirit of joy, and we are even commanded to be joyful as we hear the entrance antiphon: Gaudete in Domino semper! – Rejoice in the Lord always! We may wonder, however, in what this command to rejoice consists. Must even those who are sad and sorrowing rejoice? What of those who mourn the death of a loved one? What of those suffering from clinical depression? Must all these rejoice and be joyful? What is the “joy” which the Church demands? From where is this joy derived? What do we mean when we state that joy is a fruit of the Holy Spirit? Do Catholics make Mary Immaculate to be equal to Jesus? Today the Church celebrates the conception of the Blessed Virgin Mary, in which she was preserved from every stain of original sin. Not the moment after, but in the very moment itself of her animation (the moment when her soul was created), Mary was safeguarded and kept free from original sin. We may well state that the moment of her creation was likewise the moment of her redemption. 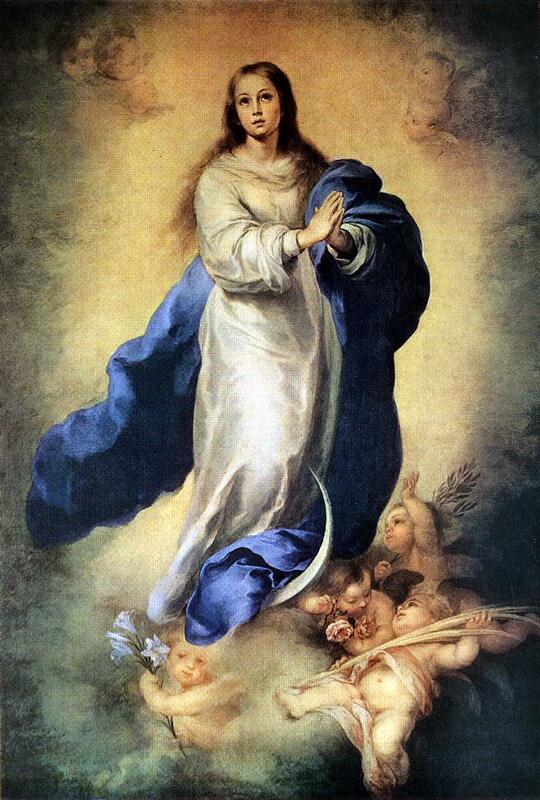 Perhaps we may go so far as to state that, in our Lady, creation and redemption are one single act. 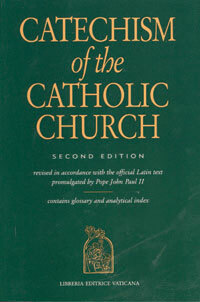 However, many Protestants will claim that Catholics make Mary equal to Jesus by claiming that she was without sin. What must a Catholic respond to this absurd accusation? 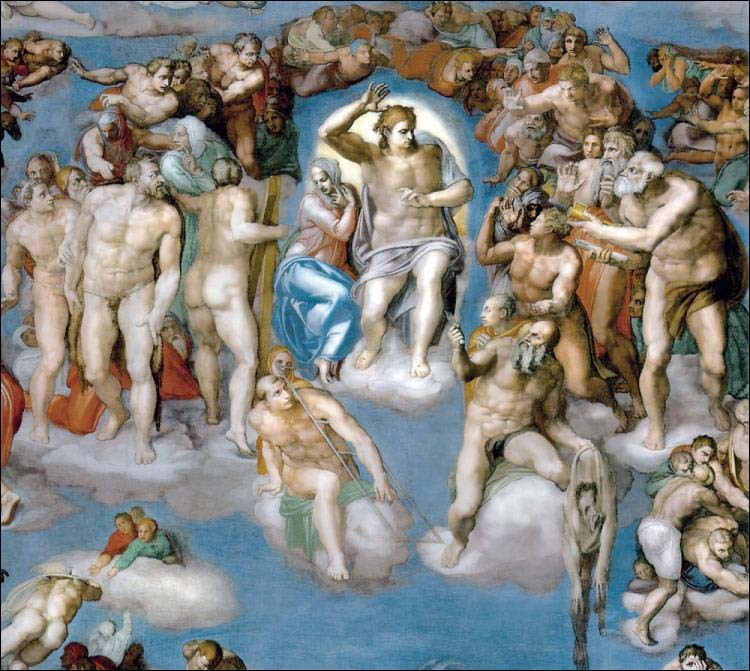 Should we try to predict the advent of the Day of Judgment? Cult leaders often gather a following through predictions regarding the end of the world. Indeed, this is a pseudo-science among certain Protestants who look through the newspapers to find “signs” of the end-times. These “prophets” are little more than fortune tellers, since no man can predict the end of time and neither would such be profitable unto the salvation of souls. A brief consideration of the theological tradition regarding the signs of Judgment Day will help us to realize precisely why Catholics ought not to spend any time or energy on premonitions about the Second Coming of our Savior. 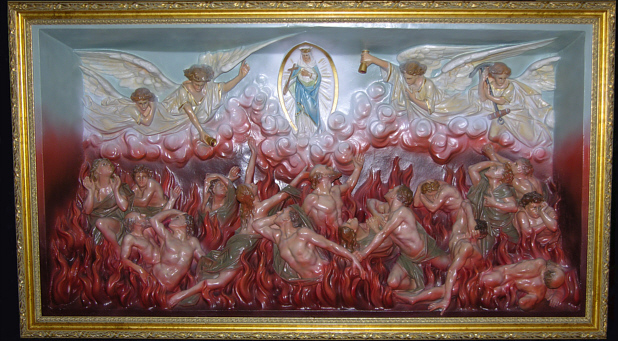 The month of November is dedicated to the poor souls in purgatory. These holy souls are assured of their salvation and enjoy the possession of the three theological virtues, and yet they suffer greatly. Indeed, excepting only the pains of hell, there is no suffering which can compare with that which the souls endure in the purifying fires of purgatory. The one consolation of purgatory would be the fact that it is only temporal and not eternal suffering which must be endured. 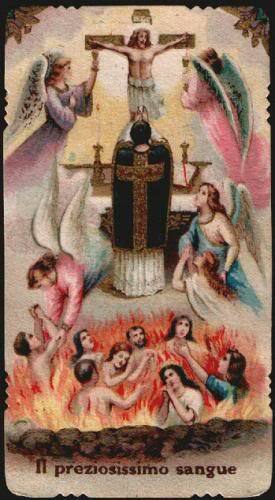 Indeed, every soul in purgatory will eventually enjoy the beatitude of heaven. However, the souls which languish there are not consoled by this thought, for it seems to them that their purgation will go on forever. While they do truly possess the theological virtue of hope (and so are certain of their salvation), yet they are overcome by the thought that their current sufferings will go on forever and that God has abandoned them. This is the teaching of the mystical doctor, St. John of the Cross. His experience of the dark night of the soul gave him light in this point. Is Christ the King of the angels, even in his humanity? It is clear enough that, in his divinity, our Savior is head of both angels and men, for the reign of God extends to every creature. It was through the eternal Word that all things were made, and therefore we may well attribute divine authority and kingship to the Second Person of the Blessed Trinity. However, we may well ask whether, as man, Jesus is rightly called the King of the Angels. 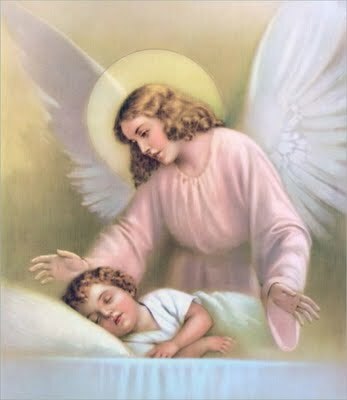 The angels were not created through the humanity of Christ, nor (it seems) were they redeemed through his sacred humanity – for he became man in order to save men, but the good angels were already saved. Therefore, on the Solemnity of Christ the King, we ask whether Christ is the King of the angels in his humanity. Jesus knew everything, including the Day of Judgment. Obviously! But of that day or hour, no one knows, neither the angels in heaven, nor the Son, but only the Father. The Church teaches that our Savior knew everything, past, present and future, and therefore also knew the day and the hour of the final judgment. In fact, it is a condemned heresy to say that Jesus, in his human intellect, did not know the exact moment of the second coming – this heresy, called “Agnoeticism” was condemned by Pope St. Gregory the Great. However, very sadly, most Catholics have no idea that they are espousing heresy when they say that our Lord did not know certain created truths, like the time of the judgment. Tomorrow, Thursday of the thirty-second week in Ordinary Time, the Church reads from the Letter of St. Paul to Philemon. This is the shortest of St. Paul’s letters, and is nearly the shortest book of the Bible. With a mere 445 words, only the second and third Letters of St. John are shorter. Yet, as the Apostle was inspired by the Holy Spirit to send Philemon this Letter, we do well to consider the life and identity of this saint. 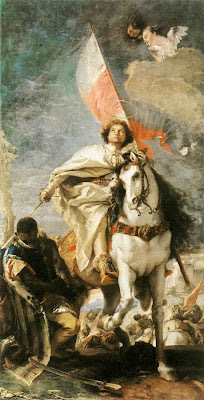 Thus, in a vision, spoke our Savior before his angels attesting to the divine election of the Roman soldier Martin. 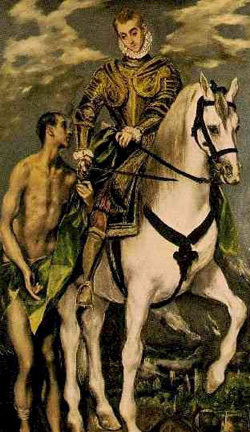 St. Martin of Tours is one of the most beloved saints of the early Church. He was one of the first post-Apostolic era saints venerated without being crowned a martyr, since he died of sickness. 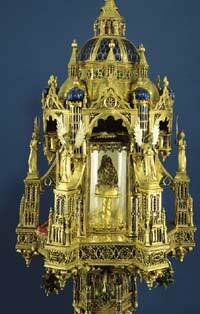 Thus, the Church praises him saying that he received a martyrs crown without suffering a martyr’s death. There are three details about St. Martin that will help us to appreciate the great significance this saintly Bishop has for the Church and the world today. The Christian faithful are obligated by divine law, by natural law, and even by positive Ecclesiastical law to assist with the financial needs of the Church. While the “tithe” refers to the Biblical tradition of giving ten percent of one’s gross income, the Catholic faithful are not obliged to meet any specific amount but are rather encouraged to be generous in their support of the mission of the Church. There are three ends toward which this financial aid is directed: divine worship (including maintaining the church buildings), works of the apostolate and of charity, and the support of the priests. There is also a theological meaning behind the “tithe”, which reveals the spirituality of the Sunday collection plate. Is there Mass in heaven? Is Christ a priest forever? Jesus, because he remains forever, has a priesthood that does not pass away. Jesus is indeed truly a priest, rather the priest, forever – nevertheless, he has offered the once sacrifice of the Cross only once, for all. Thus, while our Savior is truly a priest in heaven, we must admit that he does not make continual offerings for sin, for he has entered heaven once through the one sacrificial offering of his own most pure body. Then, we ask, is there “Mass” in heaven? Today we celebrate the feast of Sts. Simon and Jude. While Simon was from Cana and is called the Zealot, Jude is known as Thaddeus. This “Jude” is distinct from Judas the Iscariot who betrayed our Lord – this “Jude” is among the “brethren of the Lord”, a cousin of our Savior. One small disappointment about the new translation is in the rendering of St. Jude’s name in the list of the apostles in the Roman Canon. 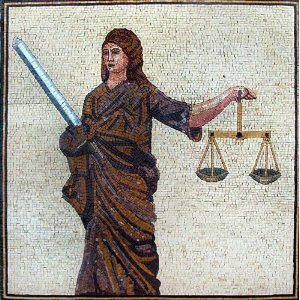 While the Latin sates Thaddaei, the English reads “Jude”. Certainly, Thaddeus is the same Jude brother of James, the author of the last biblical epistle. Yet, it is rather disheartening that the new English translation follows the old in changing the name from “Thaddeus” to “Jude”. When we consider the meaning of the name (or rather, the nickname) “Thaddeus”, we will see why the Church has chosen to invoke the Saint under this title during the Mass – and why the English ought to follow this tradition. When was Jesus ordained a priest? No one takes this honor upon himself but only when called by God, just as Aaron was. In the same way, it was not Christ who glorified himself in becoming high priest. 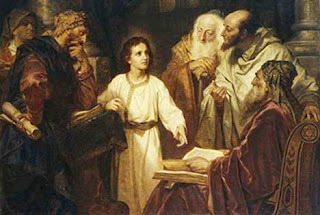 While St. Paul, in his Letter to the Hebrews, generally distinguishes our Savior from Aaron (showing that the priesthood of Christ is greater than that of Aaron), in this place the Apostle emphasizes this point of similarity between the Levitical priesthood and the eternal priesthood of Jesus. Namely, St. Paul tells us that, just as Aaron was called and ordained a priest, so too was our Lord. For no man can be a high priest of himself, but only when he is so called by God. When, we ask, was Jesus called and ordained to the priesthood? When did he become a priest? Did St. Raphael lie when he said, "I am Azarias"? 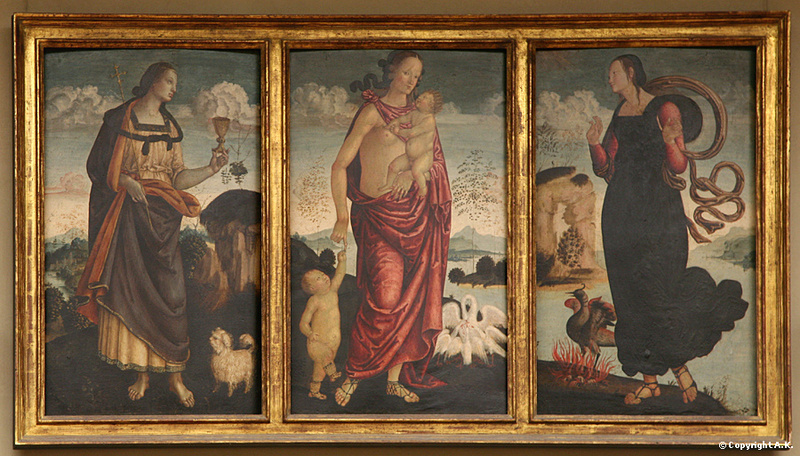 There are three angels mentioned by name in the Canonical Scriptures – Michael, Gabriel, and Raphael. The last of these is explicitly present only in the book of Tobit, while Michael is reference in three books (Daniel, Jude, and Revelation) and Gabriel in two (Daniel and Luke). While all the archangels (named and un-named) are celebrated on September 29th in the post-Vatican II Liturgy, St. Raphael has traditionally been commemorated on October 24th. We do well to consider today not only the significance of Raphael’s name and his role in the Scriptures, but also the difficult question of whether he told a falsehood when he presented himself as Azarias the son of the great Ananias. The sons of Zebedee, by way of their mother, request of the Savior to be seated one on his right and the other on the left in his kingdom. The good Jesus, seeing their zeal (for which reason they were called the “Sons of Thunder”) and recognizing their need for yet further purification, calls these two apostles to lay down their lives in service of the Gospel. 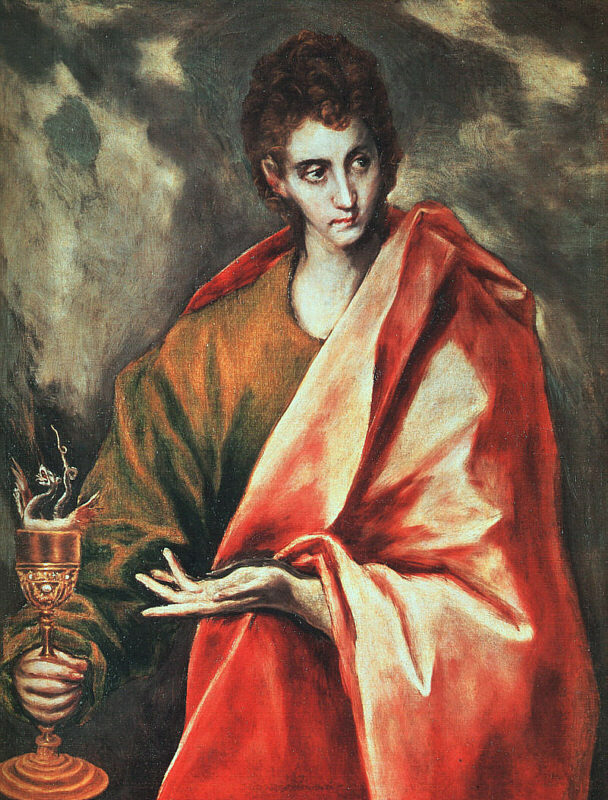 James and John were the first of the apostles to ask for the cup of martyrdom, and each received that cup in a privileged manner. The Rosary, "Luke on a chain"
During the month of October, we thank God for giving us the Most Holy Rosary through our Blessed Lady. 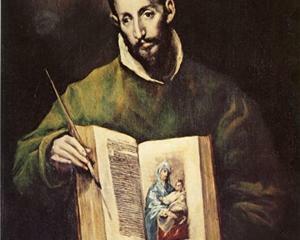 Have you ever noticed that the Rosary is based more on the writings of St. Luke than on those of any other biblical author? This is part of what makes the Rosary such a precious prayer – it is one of the best ways of meditating upon Sacred Scripture and is, thereby, a means of entering into truly contemplative prayer. Recognizing the scriptural roots of the Rosary, we might even call it “St. Luke on a chain”. 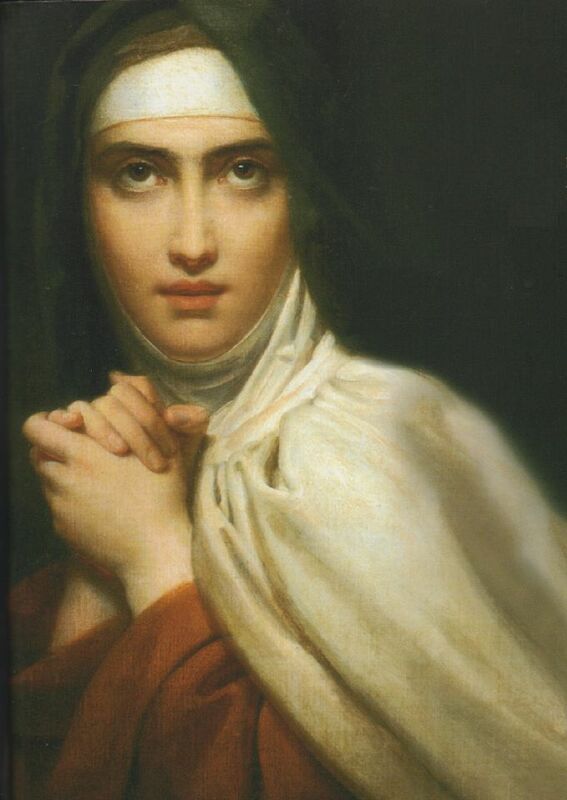 St. Teresa of Avila is the “Doctor of Prayer”, most especially for her classic work on Christian prayer, “The Interior Castle”. However, while many people desire to grow in the life of prayer, they are often confused as to what must be done. How do I pray well? What method should I use? Sadly, many modern(ist) Catholics (including even some priests) have turned to eastern forms of meditation – like centering prayer or yoga – rather than to the true tradition of Christian prayer. If we understand St. Teresa’s key insight about prayer and the interior life, we can clearly see how far eastern meditation is from true prayer. 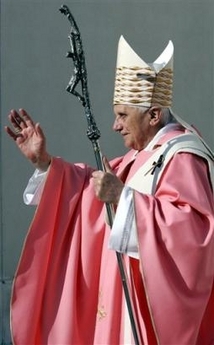 The Year of Faith, called by Pope Benedict, extends from 11 October 2012 to 24 November 2013. 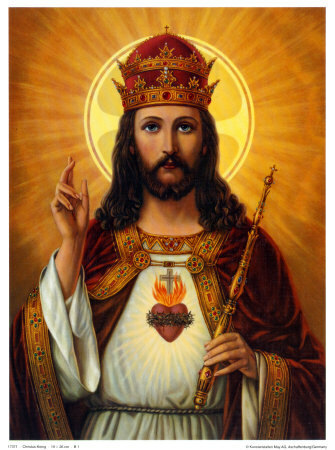 Beginning on the fiftieth anniversary of the opening of the Second Vatican Council and also on the twentieth anniversary of the promulgation of the Catechism of the Catholic Church, the Year of Faith will conclude with the Feast of Christ the King 2013. During this Year, the Holy Father desires a renewed study of our faith, especially through a return to the Catechism of the Catholic Church. However, this Catechism is over five hundred pages long (and nearly three thousand paragraphs) – How, then, might one approach such a large and theologically daunting book? 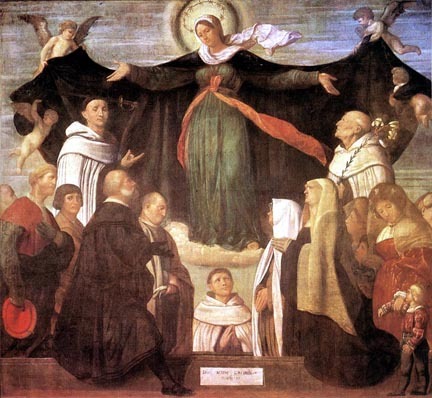 Today is the great feast of our Lady of the Most Holy Rosary. This feast commemorates the most important naval battle in human history – a battle which, if lost, would have left Rome as the new Istanbul and St. Peter’s as a second Hagia Sophia. For the history of this feast, consider a good article from Catholic Culture [here], and the poem of G.K. Chesterton [here]. 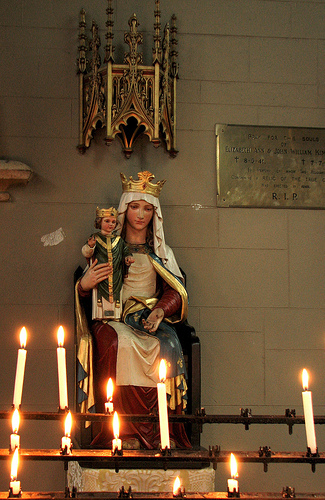 Our Lady has saved the world through the Rosary, and she desires to do so again. More particularly, in our own day, there can be no doubt that our Lady wants to save the world through the Family Rosary. But how can a family succeed in the practice of the Family Rosary? The Poor Man of Assisi is often called the Mirror of Christ, for he was as another Christ (alter Christus) present among us. 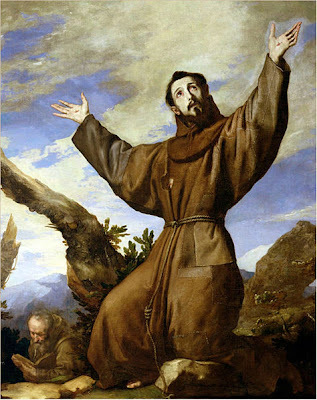 St. Francis was a true Christian, “Christ-like” to the core. G.K. Chesterton, in his excellent work on the Saint, makes the following observation (very much in his classic, witty fashion): If St. Francis is said to be like Christ, then Christ must necessary be just so much like St. Francis. The following paragraphs are excerpts from the eighth chapter of G.K. Chesterton’s excellent biography of St. Francis (which can be read online [here]). Can my guardian angel read my mind? A plethora of questions may well be asked about guardian angels. We have attempted to discuss some of these in a previous article [here]. However, we did neglect to answer one question which is probably most common: Can my guardian angel (or any angel, for that matter) know the secret thoughts of my soul? Does my angel know everything I am thinking? Co-relatively, Does Satan or any of the demons know all that passes within my soul? Our answer will be derived mostly from the Angelic Thomas, Summa Theologica I, q.57 [here] and q.111 [here]. For October, Promote the Family Rosary! October is the month of the Rosary, with the feast of our Lady of the Rosary occurring on October 7th (which also happens to be the first Sunday of the month this year). This coming month is a precious time to grown in our devotion to Mary as the Queen of the Rosary and, through the mysteries of the Most Holy Rosary, to come to know and love Christ our Savior. During the month of May, a number of individuals joined together (through this blog, and that of Stacy Trasancos, Accepting Abundance [here]) in a campaign for the Family Rosary. To promote the Family Rosary, we began by dedicating May as a month of prayer. Every day during May, we offered prayers for the renewal of the Family Rosary and in preparation for an active Family Rosary Campaign in which we will now engage during the month of October. Now that October is nearly upon us, I will offer a little reminder of some of the active works we may perform to promote the Family Rosary. I owe an apology for the past two months of absence from the New Theological Movement blog. 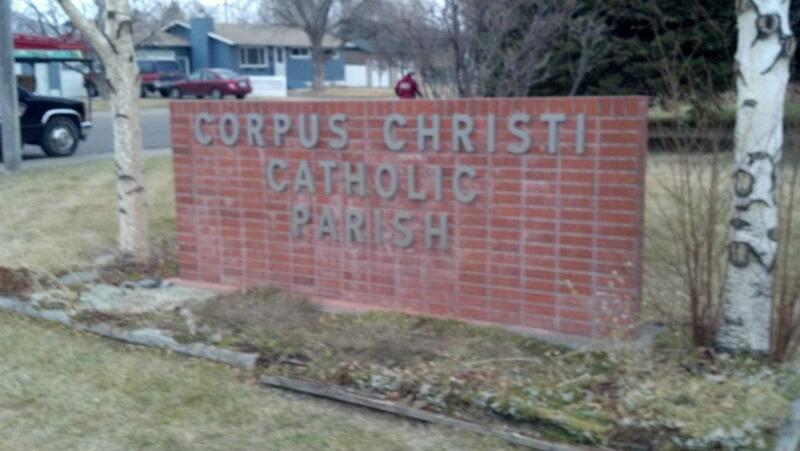 I had mentioned earlier [here] that I would be taking on a new parish assignment – Corpus Christi Parish in Great Falls, Montana. The first couple of months have been a time of many blessings and great joy, but the period of adjustment caused me to neglect writing for NTM blog. However, since I am now fairly well moved in and accustomed to the new parish, I will be taking up the blog once again. In fact, as a sign of good faith, I have prepared the next three weeks worth of blog posts in advance (and have already completed the first third) – this way, we can all be sure that the blog will be going as strong as before! After the miracle of the multiplication of the loaves and fish, by which our Savior fed some five thousand men, the Lord instructed his disciples to gather up all of that which was left over. These “fragments”, as Jesus calls them, fill twelve wicker baskets – a sign of the fullness of time, and that the Savior is come twelve tribes of Israel. 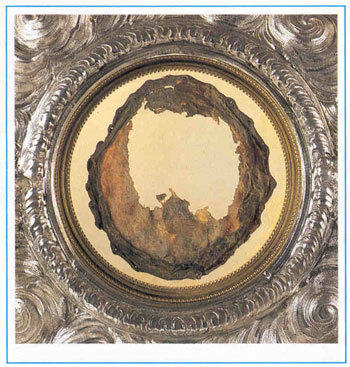 However, recalling that our Lord gave the Bread of Life Discourse shortly after the miracle of the loaves, we may well recognize that this gathering of the “fragments” was an illustration of the presence of Christ under each and every part of the Most Blessed Sacrament. 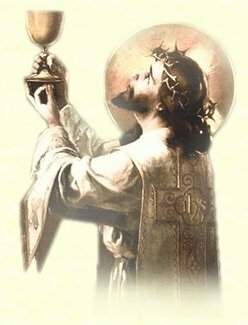 Jesus is teaching his disciples that the Eucharistic particles must be cared for, even after the conclusion of the Mass. Why did Jesus call Sts. James and John the "sons of thunder"? Today the Church celebrates the feast of St. James the Greater, who was the brother of St. John the Evangelist. This is the St. James who was first among the Apostles to be martyred (by Herod in Jerusalem) and whose relics are venerated in Compostella, Spain. St. James the Greater was not called “the brother of the Lord” (that is St. James the Less), but he and his younger brother St. John were called Boanerges or “sons of Thunder”. Why did Jesus give them this designation? There are certainly several incidents recorded in the Gospels which indicate the fiery preaching style of Sts. James and John. Certainly, these two were burning in their evangelical zeal, even to the point of some slight imperfection – this impetuousness was, of course, purified through their experience of our Savior’s Passion and Resurrection (as well as in the descent of the Holy Spirit). When he disembarked and saw the vast crowd, his heart was moved with pity for them, for they were like sheep without a shepherd. In the current year of the Lectionary cycle (year B), the Church reads from the Gospel according to St. Mark. However, starting next Sunday, we will turn from Mark to the Gospel according to St. John. There, we will read of the multiplication of the loaves and fish, as well as the Bread of Life Discourse. Before this five-week turn to the Gospel of St. John, we hear of the compassion which led Christ to work the great miracle of feeding the multitudes. He saw the people as sheep having no shepherd. We will appreciate this metaphor far better, if we consider the history of this phrase in the Old Testament. Why call it a "scapular"? How is it different from a blessed medal? While there are many scapulars, the brown scapular of the Carmelite Order is certainly the most popular among the devotion of the people. We need not mention the many miracles and graces which have been bestowed upon the Christian faithful through this most precious gift of the Mother of God. Through the brown scapular, countless souls have been converted, families reconciled, and whole nations restored to the dominion of Christ. However, while we must surely recognize the great privileges bestowed upon the brown scapular, we may not fully understand its significance. Why is it called a “scapular”? And, what makes the brown scapular different from a religious medal (like, for example, the Miraculous Medal)? Ought the preacher to carry neither food, nor sack, nor money? Must he wear only sandals? He instructed them to take nothing for the journey but a walking stick – no food, no sack, no money in their belts. They were, however, to wear sandals but not a second tunic. When our Savior sent forth the twelve Apostles in pairs to preach the Gospel to the Jews, he bade them to carry no earthly provisions for their ministry, but simply to rely wholly upon the good will of the people to whom they preached. Through the centuries, many saints have imitated the letter of this precept – the obvious example is of St. Francis of Assisi. However, it is most common today for both the parish priest and the apostolic preacher to carry not only a walking stick, but even several tunics. While bishops and priests surely do rely upon the free-will offerings of the people (generally through the Sunday collection), they now have not only shoes (as opposed to merely sandals), but even cars! What shall we say of this? Are the Catholic bishops and priests of the modern day failing to observe Christ’s precept of poverty? I have recently been assigned to a new parish, and thus have been quite negligent in keeping up the New Theological Movement blog over the past weeks. However, I am now officially at the new assignment and will return to regular blogging, starting tomorrow morning. I thank you for your patience, and for your prayers. The parish is named Corpus Christi, and is in Great Falls, MT. It was newly established by Bishop Michael Warfel in January 2012 (we are only six months old). It is my great joy to be assigned to serve the people of God in this place! 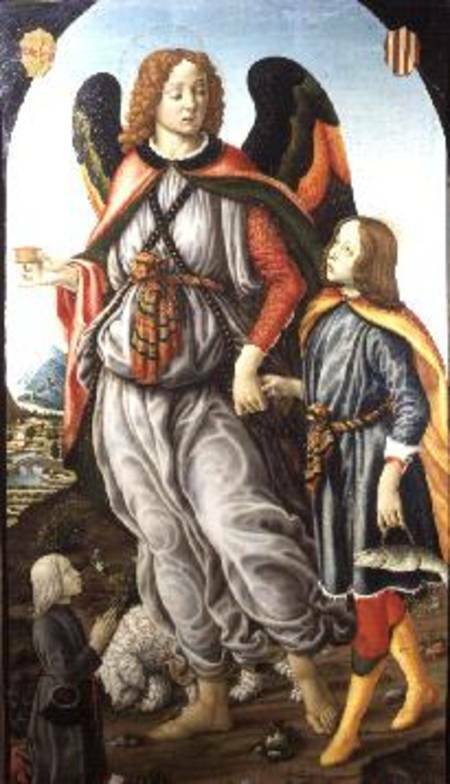 One of the synagogue officials, named Jairus, came forward. Seeing Jesus he fell at his feet and pleaded earnestly with him, saying, “My daughter is at the point of death.” […] There was a woman afflicted with hemorrhages for twelve years. She had suffered greatly at the hands of many doctors and had spent all that she had. Yet she was not helped but only grew worse. In today’s Gospel, we read of two figures: A woman and a young girl. The woman has suffered from hemorrhages for twelve years; the child was only twelve years old when she died. Our Savior heals the former, and raises the latter. 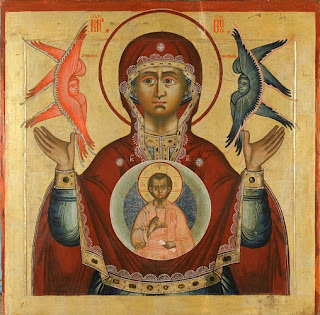 While many modern(ist) biblical scholars have all sorts of theories as to why these two miracles are intertwined, the Church Fathers see in these two women (rather, a woman and a little girl) a metaphor for salvation history. These two are figures for the manner in which the Jews and the Gentiles have been called to salvation in Christ. 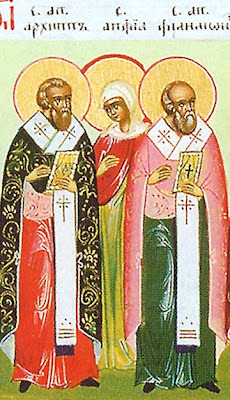 The Solemnity of the two great Prince-Martyrs of the City of Rome is not only a commemoration of the shedding of their glorious blood in supreme witness to Christ, but is also memorial of the unity and catholicity of the Church which Christ himself founded upon Peter and which spread throughout the whole world through the preaching of the Apostle Paul. In commemoration of her apostolic origins and of her unity founded upon the Bishop of Rome, the Church grants a special plenary indulgence on this day. Does Christ mean that we cannot ever judge anyone? Our Lord tells us that we must not judge our neighbor, and he does not say that we may judge sometimes, or when the case is clear and obvious to us, but rather that we must never judge. What shall we say, then, must we never judge another? Is it wrong to form any opinions at all about others? The Precursor’s Nativity is celebrated by the Church because, even from the womb, he chosen and sanctified for his vocation. The Baptist is the greatest of the prophets, and is more than a prophet, for he rejoiced to see the day of the Bridegroom. 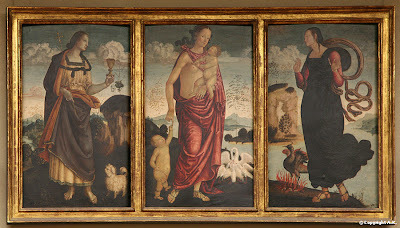 While the priest, in very specific moments, acts in persona Christi, most of his ministry is more closely tied to that of St. John the Baptist – directing people to the Lamb of God who takes away the sins of the world. In this respect, St. John is a model for the priest as “friend of the Bridegroom” and “voice of one crying out in the wilderness”. 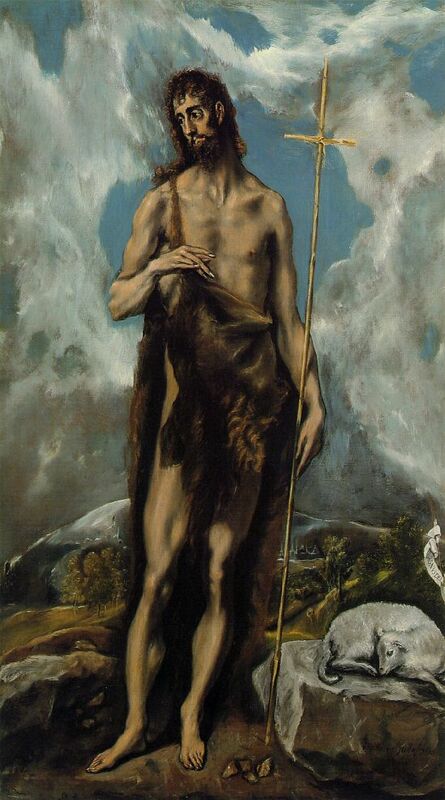 On a personal note, St. John the Baptist is particularly dear to me as a model for the priesthood, as I was ordained a priest on the Vigil of his Nativity three years ago. While St. Aloysius Gonzaga is notable for his great purity – indeed, not only did he shun all impurity, but it is said that he did not even look upon the face of any woman, not even his own mother! – St. Thomas More is recognized as one of the great married saints of the modern Church. Certainly, St. Thomas More was mot pure and chaste, but St. Aloysius lived out the evangelical council of chastity to is perfection through a life of perpetual continence and virginity (i.e. avoiding all sexual pleasure). And so, we see something of a tension: Can the Church on the one hand teach that St. Aloysius is a better example of purity on account of his perfect celibacy, and on the other hand still honor and reverence St. Thomas More who was married not only once but twice (after his first wife died)? How is it that the Catholic Church can exalt celibacy without degrading marriage? 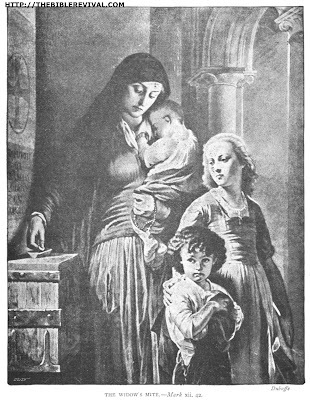 St. Juliana, whose feast is commemorated today, was the niece of St. Alexis Falconieri (one of the seven founders of the Servite Order) and foundress of the Servite Tertiaries, also called the “Mantellate”. 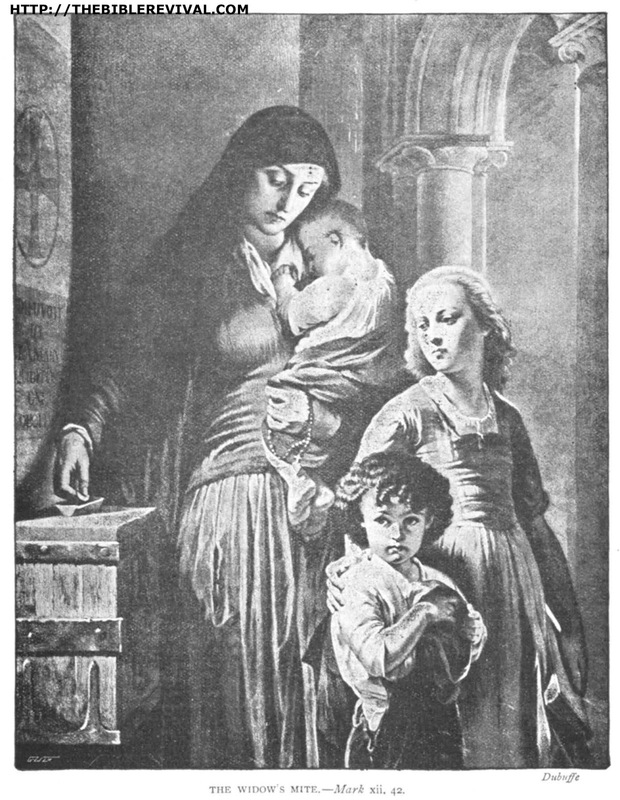 She is the patroness of the sick and of those suffering bodily ills – on account of the circumstances of her death, she could well be called the “Patroness of Viaticum”. 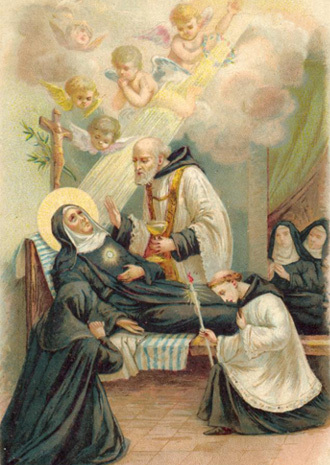 When St. Juliana was in her last moments of life, and the priest was called to bring her the Blessed Sacrament as Viaticum, it was determined that she would not be able to receive on account of constant vomiting. She, however, begged the priest to spread a corporal upon her chest and to lay the Host upon it. After the priest did this, in the sight of all present, St. Juliana became radiant and the Host suddenly disappeared – having been miraculously received into her body as the “food for her journey” into eternal life. We do well then, to consider the importance of Viaticum (Communion before death) as the last Sacrament of the Christian life. 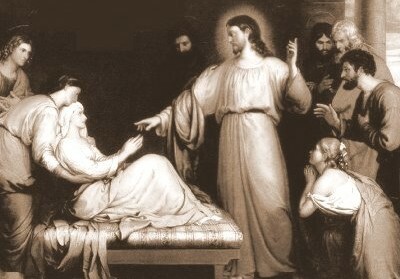 Those interested in the sacrament of Anointing of the Sick, may consider our earlier articles: When should I receive Anointing of the Sick? [here], Anointing is only for those in danger of death [here], and On surgery and Anointing [here]. St. John of the Cross, known for his great works of mystical theology (especially “Dark Night of the Soul” and “Ascent of Mount Carmel”), was in fact more interested in poetry than in theological treatises. Indeed, much of his theological writing was given as a commentary or quasi-commentary on his poetry. 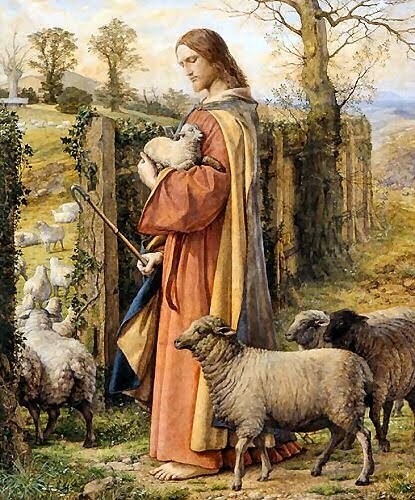 On this Solemnity, we do well to consider the following poem of St. John of the Cross in which he calls to mind the Most Sacred Heart of our Savior under the metaphor of a shepherd wounded by love. While St. John Chrysostom is the patron saint of preachers, there can be no doubt that St. Anthony of Padua is a most superb model for all Christian preaching. Not only is he recognized as the great preacher of the Friars Minor (i.e. the Franciscans), we must also recognize that many of his greatest miracles are associated with his preaching. 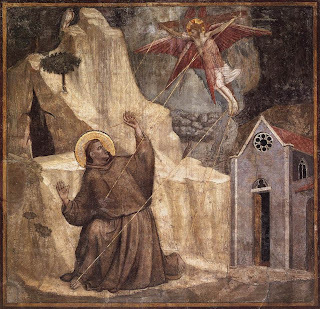 Consider, for example, his famous sermon to the fishes on the bank of the river Brenta near Padua – his spiritual father, St. Francis, is often remembered for speaking to animals, but it was St. Anthony who preached to the fishes! Beyond this most extraordinary example of preaching, recall that he once bilocated while preaching on Holy Thursday; that, on another occasion, he preserved his audience from getting wet while he preached in the midst of a rainstorm; and that, when once the pulpit in which he was preaching collapsed and fell among the hearers, none was hurt, not even the saint himself. 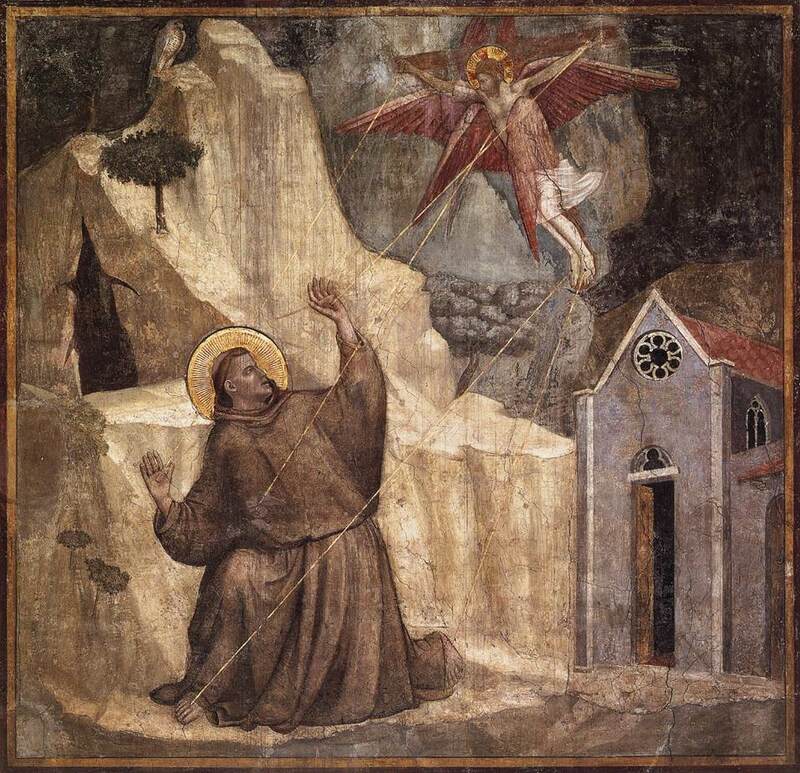 We do well then, in honor of St. Anthony, to consider what is the sacred eloquence of a truly Christian preaching, and how this differs from the profane eloquence of worldly discourse. The Church recognizes many and various realities from the Old Testament as figures for Christ’s gift of himself in the Most Holy Eucharist. On the Solemnity of Corpus Christi in the Ordinary Form, the Church read from the book of Exodus – how the people were cleansed and the covenant ratified through animal sacrifice at the foot of Mount Sinai. In the Extraordinary Form, on the other hand, the Church put before us the figure of the Manna in the desert, through the reading of a passage from the Bread of Life Discourse. 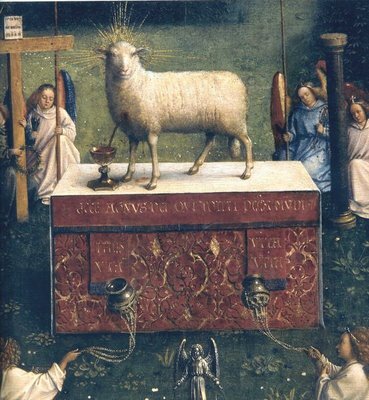 There are so many images and figures for the Eucharist in the Old Testament – the Manna, the bread and wine offered by Melchisedech, the sacrifice of the Day of Atonement (Yom Kippur), the Paschal Lamb, etc.! How are we to understand what each of these figures teaches us about the Blessed Sacrament? Further, we ask: Is there any one thing from Old Testament which is more completely or perfectly a figure for the Eucharist? At the Last Supper, our Savior instituted the Sacrament of the Eucharist using the natural elements of bread and wine. Thus, by the divine mandate, only pure bread and pure grape wine can be the matter of the Sacrament of the altar. Like the male-only priesthood, this is something over which the Church has no power but which she receives from her divine Head, Christ Jesus our Lord. However, it is good to realize that our Savior could have used any food as the matter for the Eucharist. He chose bread, but he could have chosen to consecrate the flesh of the Passover Lamb (for example). Why then, did our Lord make use of bread for the Eucharist? And, What was he teaching us? Is the Sacred Host the flesh of Christ's Sacred Heart? Unless the local bishops have moved it to the following Sunday, today is the Solemnity of the Body and Blood of Christ, the feast of the Most Holy Eucharist. On this day, the Church adores the Real Presence of her Savior in the Eucharistic Species. 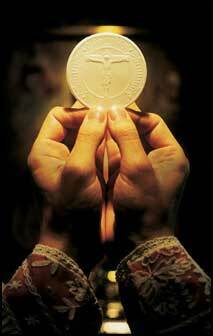 Christ our Lord is really, truly, substantially and sacramentally present in the Eucharist. This Presence is confirmed in a most astonishing way in those Eucharistic miracles where the Host and/or Precious Blood physically and visibly change shape so as to become (in sensible form) flesh and blood. 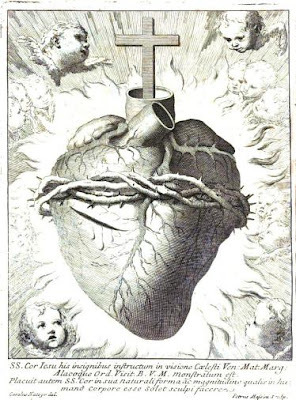 A question arises, however: Since, in some of these Eucharistic miracles, the Host changes into heart tissue, are we right to say that the Sacred Host is the flesh of the Sacred Heart of Jesus? 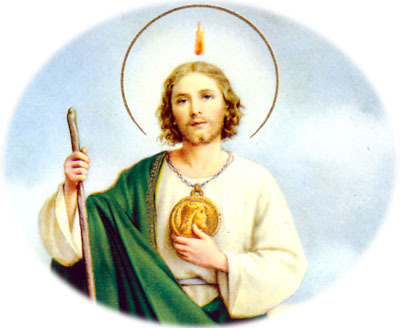 Since 1873, by the approval of Pope Pius IX, the month of June has officially been consecrated to the Sacred Heart of Jesus. In fact, this devotion had long been practiced privately by individuals and also locally by dioceses (especially in France). What, we ask, does the Heart of Jesus teach us about our own hearts? How is the Sacred Heart a model and exemplar for the heart of every Christian? I have been traveling over the past several days, and now I will be leading a retreat for lay Carmelites over the weekend. Thus, I will not be updating the blog until early next week. As we conclude the month of our Lady and enter the month of the Sacred Heart, let us continue our prayers for the renewal of the Christian family (though our official May prayer-campaign is now concluded). Further, let us consecrate our family and all families to the Sacred Heart of Jesus through the Immaculate Heart of Mary! Please pray for me and for all who are on the retreat! Sacred Heart of Jesus, we place our trust in you!